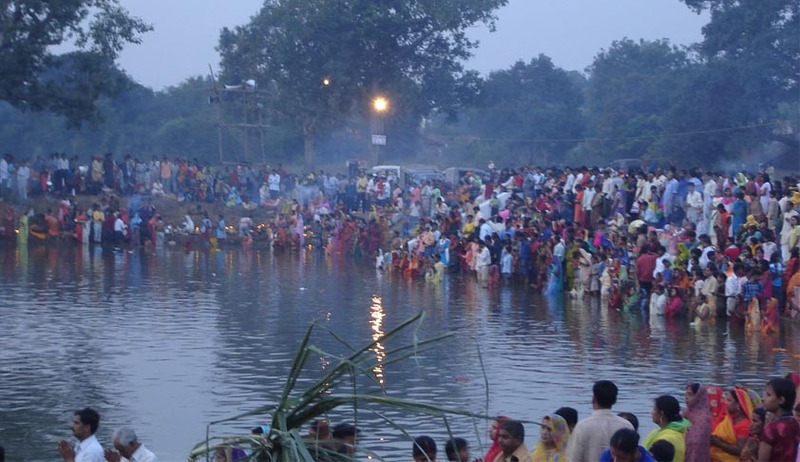 The High court of Jharkhand has, suo moto directed the Local bodies in the state of Jharkhand to perform regular cleaning exercise in the water bodies of the state during the ensuing Deepawali and Chhat festivities. A division bench comprising of Chief Justice Virender Singh and Justice P.P. Bhatt pursuant to the submission by amicus curiae Mr.Indrajit Sinha, directed the local bodies to ensure cleaning of water bodies on day-to-day basis between 10th November, 2015 to 18th November, 2015. It was submitted by the amicus curiae that during these festivals, Puja are being performed at the bank of water bodies and after Kali Puja and Lakshmi Puja, Puja materials as well as idols are submerged in the water bodies and in Chhath Puja, while giving 'Arghya', water and Puja materials are being offered to Lord Sun and after completion of Chhath, idols of Lord Sun are also submerged in the water bodies and therefore, there is possibility of having pollution in the water bodies as idols of Goddess Kali, Goddess Laxmi, Lord Ganesha and Lord Sun are made of plaster of paris (PoP) and painted with chemical colours. The Government Pleader submitted that the water bodies situated in different parts of the State will have to be taken care of by the local bodies, such as, Municipal Corporations, Municipalities and Notified Area Committees. However, Urban Development Authority will issue necessary instructions to the local bodies to take care of water bodies during the ensuing Deepawali and Chhat festivities. Earlier, the Apex court acting upon a PIL filed by four infants seeking checks on air and sound pollution, had prohibited bursting of sound emitting crackers between 10 pm and 6 am during any festival including Diwali , even though it rejected their plea for a total ban on crackers. Deepawali is an ancient and auspicious festival celebrated by people of India and several rites and rituals are performed by Hindus on this holyday. Worship of the goddess of wealth, is the main event of Diwali in North and West India. Another festival called Kali Puja, is celebrated on the new moon day of the Hindu month Kartik especially in Bengal, Odisha, Bihar and Assam dedicated to the Hindu goddess Kali. On the sixth day of the month of Karthik, Chhat Puja an ancient Hindu Festivalis celebrated in the Indian subcontinent which is believed to be the only Vedic Festival dedicated to Surya, the Sun God.